Classical and Modern Approaches in the Theory of Mechanisms is a study of mechanisms in the broadest sense, covering the theoretical background of mechanisms, their structures and components, the planar and spatial analysis of mechanisms, motion transmission, and technical approaches to kinematics, mechanical systems, and machine dynamics. In addition to classical approaches, the book presents two new methods: the analytic-assisted method using Turbo Pascal calculation programs, and the graphic-assisted method, outlining the steps required for the development of graphic constructions using AutoCAD; the applications of these methods are illustrated with examples. 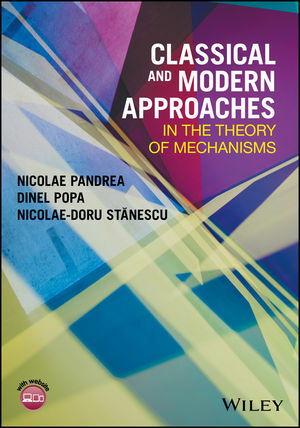 Aimed at students of mechanical engineering, and engineers designing and developing mechanisms in their own fields, this book provides a useful overview of classical theories, and modern approaches to the practical and creative application of mechanisms, in seeking solutions to increasingly complex problems.